This was taken out my window last night (Friday, January 22, 2016) at 8:10 pm. How can I complain about the cold? 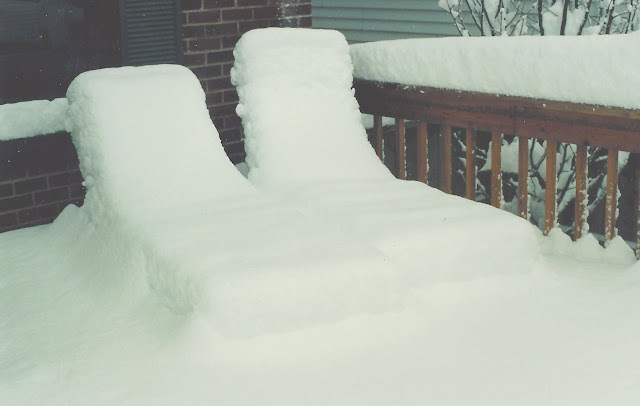 This storm reminds me of another winter a few years ago at my old house down the street. My poor beautiful beach chairs! All you readers down in Florida and the islands, eat your hearts out! Down there you can get a sun burn! Up here you can get a freezer burn! My poor picnic table and chairs! 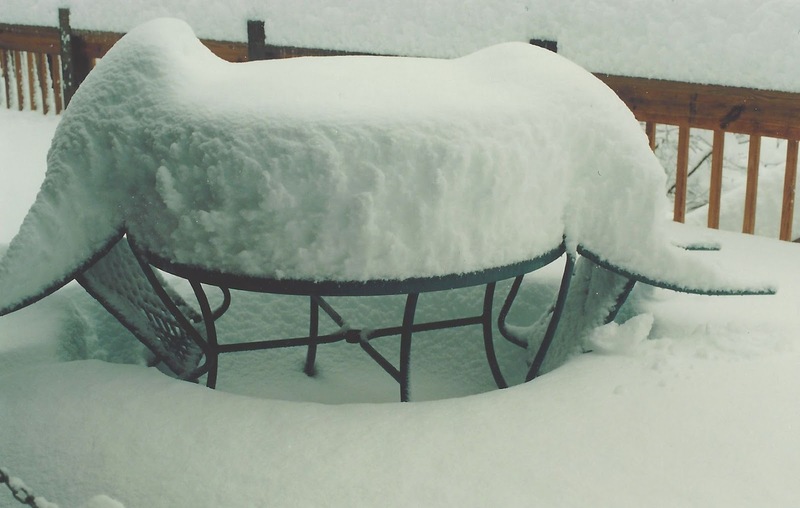 "Frozen Margaritas" out on the deck anyone? 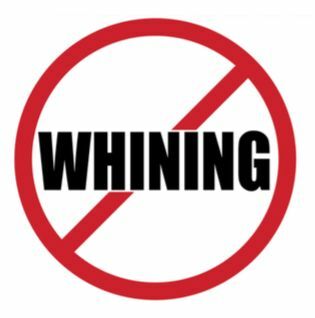 I KEEP ONE OF THESE "NO WHINING SIGNS" PASTED OVER MY COMPUTER. 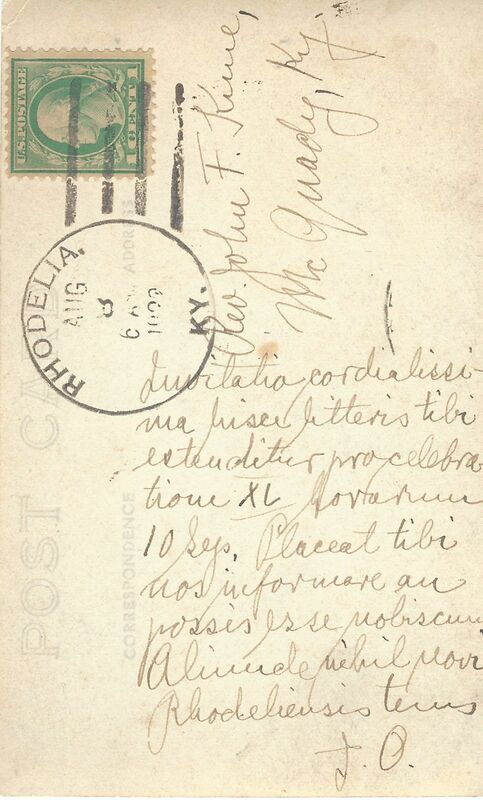 Father Joseph Odendahl from my parish of St. Theresa in Rhodelia sent this invitation in Latin to one of his fellow priests, Father John Knue in McQuady (now in the Owensboro Diocese), inviting him to attend the annual Forty Hours celebration at St. Theresa in 1922. Several other priests would also have gotten post card invitations as well - no phones yet. This would have been one of the few times priests got together. It was quite a ride by horseback - about 60 miles round trip. Notice the one cent stamp! Believe it or not, the Rhodelia Post Office is still in operation! Front side of the post card - from the days before the stained glass window which Father Odendahl had installed. The church was designed by the same architect as the one who did the Cathedral of the Assumption and the Nazareth Motherhouse Church. Started in 1856, the church was first used in the summer of 1857 even though barely under roof. This church was dedicated by Bishop Martin John Spalding in 1861. There were two log cabin churches before this church. 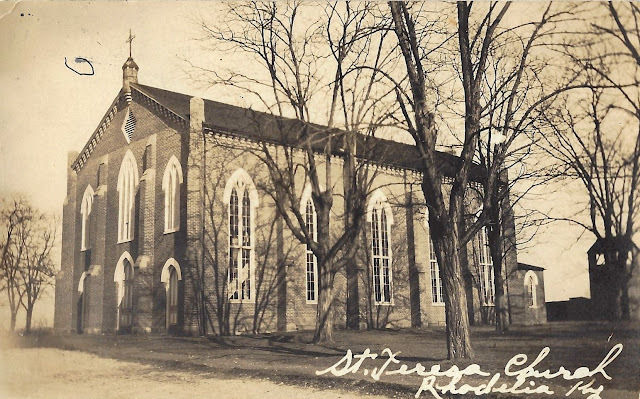 The parish was founded in 1818. 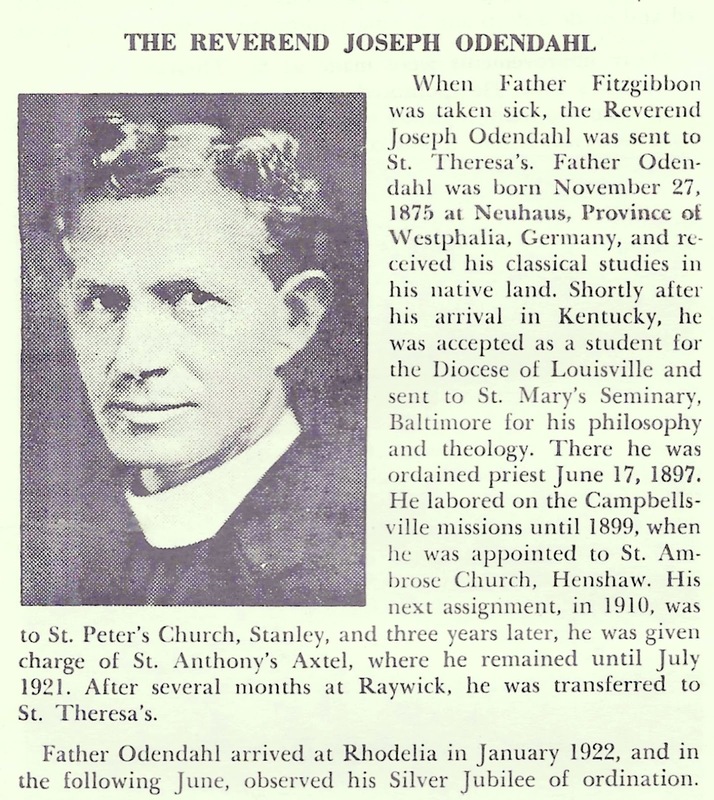 Father Odendahl was born in Germany. Some of the pastors before him were born in France, Luxembourg, Holland, Belgium and Ireland. It was very much like the situation today with more and more priests born outside the country serving as pastors of our parishes. During his tenure, Father Odendahl made many improvements to the church and expanded the cemetery. Father John Knue was quite effective as a community leader. It is not known whether Father Knue accepted Father Odendahl's invitation, but it is assumed that he did. ABUNDANCE - THE FIRST OF HIS "SIGNS"
Jesus told them "Fill the jars with water!" They filled them to the brim. "You have kept the good wine until now!" Jesus came to this world to teach us, by performing a series of "signs" or "messages" about what heaven is going to be like! There will be many, but today, we read about the first of those "signs" or "messages." Now, you would think the first "sign" or "message" he would want to deliver, right out of the gate, would be something practical like healing the physically, emotionally or spiritually sick. There were certainly plenty of them to go around! You would think that his first "sign" would be something practical like feeding those who were hungry. There were certainly plenty of them to go around! Instead of multiplying loaves of bread to feed the hungry first or curing a few hundred lepers first or even healing a bunch of mentally disturbed people first, he went to a party and delivered a truck load of wine - somewhere between 120-180 gallons, in fact! What kind of "sign" or "message" was that? If you line up the details of this reading, surely Jesus wanted to male a statement about abundance. His first "sign" or "message" seems to say that, in the kingdom of heaven, there will be plenty. In a culture where people routinely lived on the edge of starvation and want, for Jesus to make this wedding reception his first "sign" or "message" was quite powerful. A wedding is about fertility, new life, continuation, happiness and possibility. Every detail symbolizes plenty and abundance. Not only were the bride and groom's family there, along with their relatives and neighbors, but also Jesus, his disciples and even his mother! Not only were the water jars now full of wine, we are told they were full to the brim! This was not a single day affair. Jewish weddings went on for a week, so this 120-180 gallon infusion of extra wine toward the end of the week, didn't even count what the family had purchased in the first place and had already been drunk up! Not only was this new wine added to what was already supplied, this new wine was actually much better than what was served first, unlike most weddings when they pulled out the cheap stuff after people were pretty well two-sheets to the wind and wouldn't know any better! This multiplication of wine was the first "sign" or "message" that Jesus performed to teach us about the kingdom that God has in store for us. The rabbis at the time of Jesus had a saying, "Without wine, there is no joy." So this "sign" or "message" wasn't as much about a wedding or wine as it was a "sign" or "message" about the joy that awaits us in the kingdom of God. As Jesus said, "I have come to bring you life - life to the full - life to the brim - a joy that is not stingily divvied out in thimbles, but "pressed down. shaken together and poured into our laps." Saint Paul talked about it this way, "Eye has not seen, nor ear heard, nor has it even dawned on human beings the great things God has in store for those who love him." The kingdom is already here? To that Jesus said, "Yes it is! If you have the right eyes you can see it has begun! It is subtle, like yeast working in a batch of dough, but it is here. The "signs" that I perform - healing the sick, feeding the hungry and releasing those who are bound up - are "signs" that the kingdom is building. 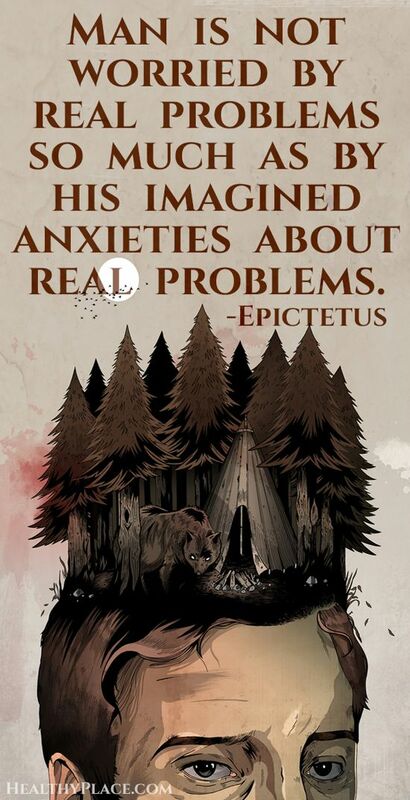 The "signs" that my followers, as they spread around the world in the years to come, will perform will be "even greater" because there will be millions of my followers "healing the sick, feeding the hungry and releasing those bound up. Then someday, in the great by-and-by, there will be no sickness, no hunger and no imprisonment of any kind!" One of the "signs" of the kingdom today is the work of Catholic Relief Services, carrying on the ministry of Jesus, delivering medicine, food and aid to desperate places around the globe. It should make us all proud that one of the most respected, most efficient and most trusted relief agency is Catholic Relief Services. It is my hope that my own little charity organization, R J MISSION PROJECTS and my own personal volunteering, is doing some similar good down in the poor little country of St. Vincent and the Grenadines. Through the donations of the time, talent and treasure of disciples like us, the kingdom of God is shown forth, and will be shown forth, until there is no need for it when the kingdom come to perfection in the life to come! Then on that day, there will be no earthquakes, no disease, no hunger, no thirst and no crying! On that day, when our lives will be "filled to the brim," there will be plenty for everybody!